We must share this photograph of a casket spray originally published on the British Good Funeral Guide website. 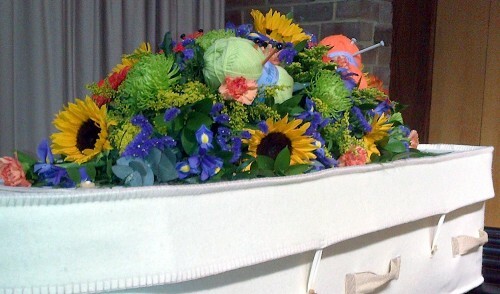 The deceased woman being buried loved to knit, so the clever floral designer worked balls of yarn and knitting needles into the colorful arrangement. Lesson learned: It's okay to offer ideas to florists, then ask them to think.